Hey guys! If you were at our meeting last night, then you know all about our exciting summer project- Sewing cheerful pillow cases for children with cancer thru ConKerr Cancer! ConKerr Cancer started when Cindy Kerr’s son was diagnosed with cancer in 2002 and she began making pillowcases to brighten up his hospital room and to put a smile on his face. He loved it and so she began making pillowcases for other children on the Oncology Unit at Children’s Hospital of Philadelphia.Since then the pillowcase project, A Case for Smiles, has grown in amazing ways. We have provided nearly 490,000 pillowcases made by thousands of volunteers from across North America and in South Africa. School groups, sewing circles, church groups and fabric stores have all pitched in and are making pillowcases for the kids. An exciting new program has been to take fabric and sewing machines to hospitals and sew with the patients and their families.ConKerr Cancer has been able to make amazing progress towards fulfilling our goal of making hospital stays as pleasant as possible for chronically ill children and their parents. Simultaneously the pillowcase project has fostered a spirit of community and volunteer service in communities across North America. Unfortunately the number of sick children never ends, and we must continue to expand our efforts to help brighten patients’ lives and raise awareness about childhood cancer. Delivered over 490,000 cheerful pillowcases to sick children in hospitals across the country. Established 125 chapters (so far!) serving children in 225 hospitals and pediatric hospices across the United States, Canada and South Africa. 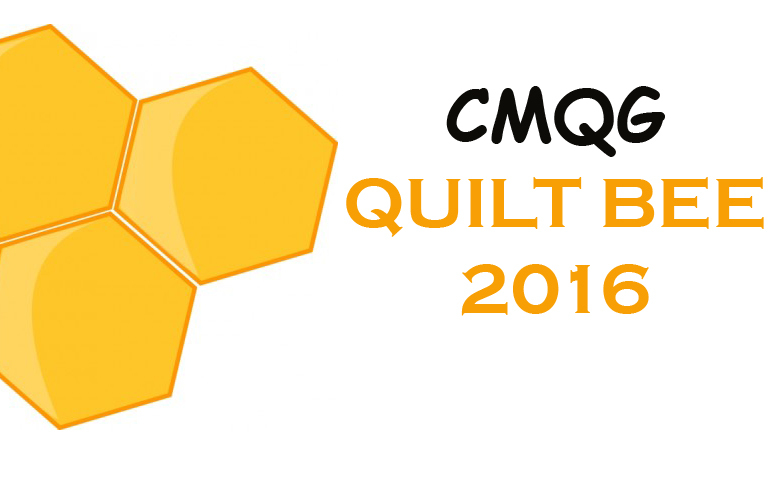 Recruited thousands of volunteers – young and old – to sew and donate pillowcases. 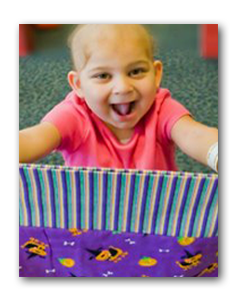 Our goal is to give a bright cheery pillowcase to every seriously ill child in North America by 2015. In addition, we are expanding internationally with chapters in Canada & South Africa. We think that as a group we can make at least 100 cheery bright pillowcases for Cincinnati Children's Hospital by our August 8 meeting- that's about 3 per member. But of course, we will take them from whoever wants to help out! Find their instructions here. Or download the "Hot Dog method" (what Lynn was talking about in the meeting) for fast French seams right here. Fabrics must be pre-washed for hospital use. You do not necessarily have to cut the contrast piece to 10.5 inches- a 3/4 yard piece and a 1/4 yard piece work just fine. Remember to finish seams- if you don't do the french seam method, just zig-zag stitch them. Put each case in a separate quart-sized ziploc bag. Bring them into our July and August meetings so we can get our counts and we will get them to the drop-offs for you. We are not a huge group, so I think 100 cases will be a challenge for us- but definitely not an impossible one! We have so much sewing power together. Summer is the perfect time to slow down and remember how much something so simple and handmade can mean to a sick child who spends so much time in an otherwise dreary hospital room. Let us know if you have any more questions... Let's do this thing!! Faith of Fresh Lemons, that is! 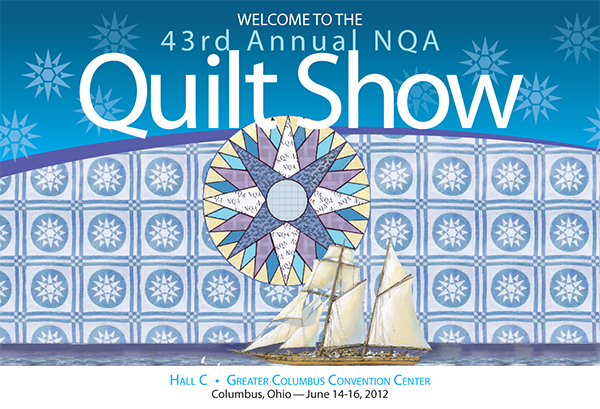 Cincinnati native and crazy-talented Faith Jones will be conducting a workshop for the CMQG on Saturday, July 14. We're still working out the details, so stay tuned. In the meantime, mark your calendar to attend this event! 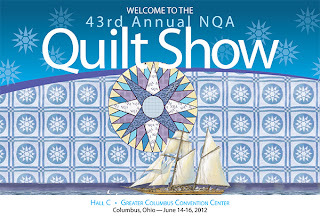 The Columbus NQA Quilt Show is June 14-16 at the Greater Columbus Convention Center. 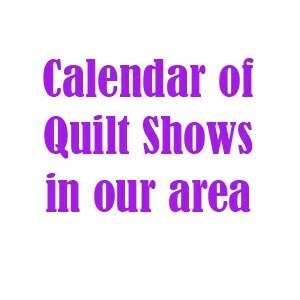 Details on hours, tickets, classes, and vendors are available on the official event website.